In late October 2016, I spoke to 400 local LA high school students about the dangers of Distracted Driving. The room went silent as I told the story of a how my husband, Milt Olin was killed by a Distracted Driver. When I revealed to the students that the Distracted Driver was an on-duty LA County Sheriff Deputy, there was an audible gasp in the auditorium. Almost 3 years later, with the creation of the Milt Olin Foundation I am committed to building a movement to stop this deadly epidemic. This tragedy changed my life and my two son’s lives forever. As I struggle through my days without Milt - the beloved, dynamic epicenter of my family, I find meaning and purpose in sharing my story. It helps people to understand how a few seconds of distraction can make the difference between life and death. The #HandsOff Movement unites cyclists, pedestrians, passengers, and drivers in a way that can make a difference in changing dangerous driving habits caused by the addiction to our mobile phones. It’s imperative that we all join the Movement Against Distracted Driving to make our roads safer so others don’t have to lose their lives or be injured by the thoughtlessness of a Distracted Driver. We need your donation to continue building on the #HandsOff Movement today, here on GoFundMe! Your donation will immediately go towards programs to grow the #HandsOff movement to end Distracted Driving which are highlighted in our video. Please join the #HandsOff Movement with your donation & support? We are all in this together, we can make a difference. I’m proud to support Louise Olin in her vision for a distraction-free driving world. The work of the Milt Olin Foundation and the #HandsOff movement is an incredible effort and I’m delighted to be a donor and encourage everyone to follow my example. 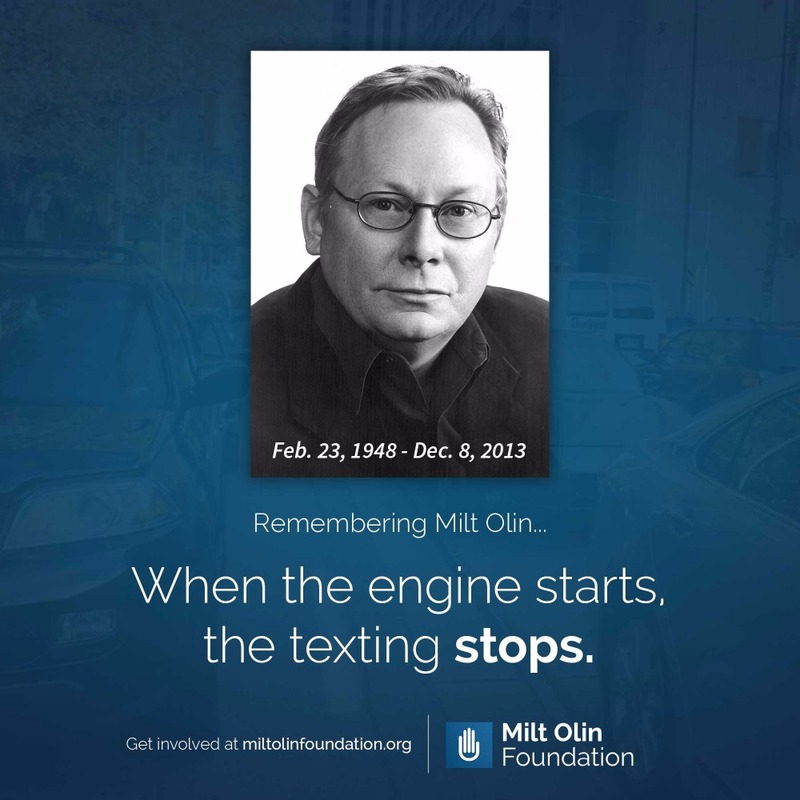 Milt Olin was a friend and colleague and I miss him very much. I’m very proud to support the Milt Olin Foundation and the #HandsOff initiative. We want to honor our friend and colleague’s memory by helping your foundation in its work to avoid future biking tragedies. The #HandsOff movement is incredibly important and overdue. Driving while distracted should be just as socially unacceptable and legally forbidden as driving while drunk. I don't expect anyone to care that I lost a dear friend and father-figure for this reason, but I do expect they should care that it might be their dear friend next. I fully support MO Foundation in their ongoing work to raise awareness of #HandsOff. 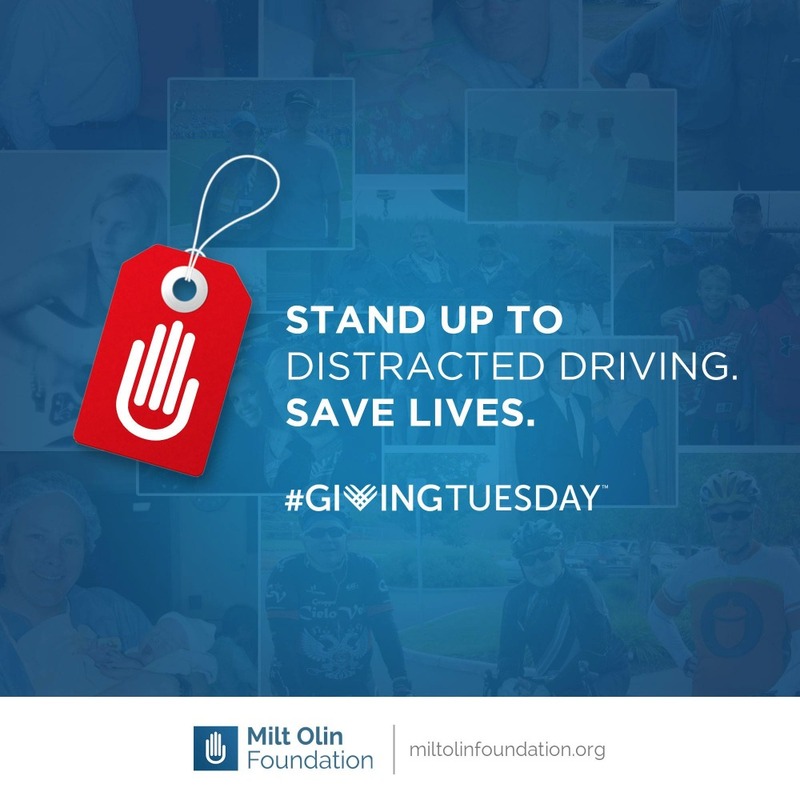 Yield to Life is thrilled to partner with the Milt Olin Foundation to tackle the ever-growing problem of distracted driving. Since cyclists are most vulnerable in the hands' of a distracted driver, Yield to Life is excited to be a part of this team's effort and work towards preventing senseless tragedies. Tomorrow, December 8, marks the 3-year anniversary of Milt’s death. Beginning at 12:30pm PST we will be broadcasting live from a special place to commemorate Milt’s life as well as bring awareness to the dangers of distracted driving. Stay tuned to our Facebook page for details!!! We’ve hit our initial goal and are continuing to raise $ for our #HandsOff programs. So far 135 of you have come together and stood up to distracted driving with me. I thank you for your contribution and your support. Already donated? Sharing helps bring new faces to our campaign! Use the share buttons on our gofundme page to share our campaign or share posts you see on our social media pages. Every bit of reach counts. Thank you all SO much for the unbelievable support! As I'm posting this now, we've reached over 85% of our initial goal! Please keep spreading the word on social media and sharing with your networks. Together we can stand up to distracted driving and our message can reach thousands of drivers. Your generosity means the world. Let's keep it up! Wow! What a great response to our campaign! Thanks to everyone who participated yesterday and today in helping us to reach over 75% of our initial goal. Please share the link to keep the momentum going. We are hoping to surpass our goal! this was a tragic accident that should never have happened. i know milton is missed by all who knew and loved him. good luck with your efforts to prevent this from happening to someone else's friend or loved one. May Milt's memory be a blessing! Milt was one of a kind. Charming, smart, fun and funny, a great lawyer and person. So tragic what happened. Kudos to Louise for helping to prevent it.